It has been confirmed that Jeremy Hunt is to stay on as health secretary, contrary to earlier reports today that he would be axed or reshuffled by new prime minister Theresa May. Hunt is the longest serving health secretary since the NHS was set up in 1948, having been in the post for more than three and a half years, but has been blamed for his role in the bitter dispute over a new junior doctors’ contract. Theresa May took over as prime minister yesterday, replacing David Cameron who resigned following the UK’s vote to the leave the European Union, and immediately set about reshaping her government cabinet. The most prominent departure was Chancellor George Osborne, the architect of the long-running austerity measures which have cut the deficit but also put a severe strain on public spending, including the NHS. Further new appointments to the cabinet were made this morning, and initial media reports stated clearly that Hunt has been reshuffled to another department. This news was met with glee by Hunt’s many pro-NHS opponents, including junior doctors and their supporters, who have become very active on social media. When the news emerged that he was to stay on in the job after all, Hunt made his riposte via Twitter. ‘Reports of my death have been greatly exaggerated…’ Thrilled to be back in the best job in Government. 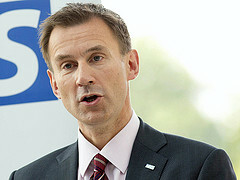 Many junior doctors and other healthcare professionals blame Hunt for the dispute over the contract, which after months of strikes and negotiations, has just been rejected in a ballot by British Medical Association members. Hunt has now confirmed that the new contract will be imposed – a decision made in the immediate aftermath of the Brexit vote, which has raised further fears of a squeeze on the economy and public spending. As a number of commentators have pointed out, the most crucial factor now is not who is health secretary, but whether or not Theresa May’s government can find extra funding for the NHS. Health experts and think tanks are warning that the NHS will see patient care, including waiting times for A&E, surgery and cancer diagnosis – worsen because of a growing shortfall in funding. A report by the Chartered Institute of Public Finance and Accountancy (Cipfa) released in May said the health service would record a deficit of £2.45 billion in this financial year, and forcast this would rise to £10 billion by 2020. 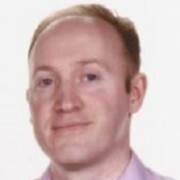 Speaking this morning on a pharmaphorum webinar on the impact of Brexit on UK pharma, Leslie Galloway, chair of industry group EMIG said NHS funding was the biggest underlying issue for the sector. He said if Theresa May’s government bring NHS spending even slightly closer to the EU average (as percentage of GDP) this would boost the NHS and the life sciences sector.